I’m sitting on a balcony of the home where my husband, daughter, and I are housesitting in Fiji. The ocean waves crest over the reef in front of me. White frangipani blooms and red hibiscus pop out of the green vegetation, and a gentle floral scent mingles with the saltwater air. A fisherman walks to the beach carrying his gear. He waves and says, “Bula!”, the Fijian greeting. Fiji is just one of many countries around the world whose welcoming harbors we’ve sailed into over the past eight years. We started our cruising life in our early 40s. My husband, Jim, dreamed of sailing to exotic places in search of the perfect retirement spot. But we lived in Colorado, a tad landlocked for ocean adventures. So we learned to sail small boats on mountain lakes. When we grew tired of doing figure eights, we began researching online for blue-water cruising boats, and formulated a plan. Our goal was simple: We wanted an offshore cruiser, under $50,000, and it had to accommodate two adults and two children, ages eight and 13. But our desire to travel to different lands wasn’t just about sailing into retirement. No matter how hard we tried to save money in Colorado, we couldn’t seem to cut our costs below $4,000 each month. Insurance, utilities, groceries, and taxes devoured our income. With zero offshore sailing experience, we sold our house and business. In June 2008 we moved aboard Windfall, a 35-foot sloop we’d bought in California. To avoid paying California’s high taxes, the previous owner helped us sail down to Ensenada, Mexico, where the taxes didn’t apply and the marina fees were cheaper. During the day, we’d take Windfall out to practice sailing and fishing. We studied weather patterns. We talked to other cruisers in the marina who had done it all before. We taught our children what we learned about sailing and boat maintenance, alongside their homeschool curriculum. In the fall of 2008, the market crashed. Losing our investments meant that, instead of cruising on our dividends, we’d have to spend our savings. After outfitting Windfall with a new radar, anchor, and dinghy, we took a crew member with us and sailed south to Cabo San Lucas. Learning to sail overnight and anchoring in new places felt exhilarating. And along the way, I grew sea legs. Our first year, we explored the desert islands in the Sea of Cortez. We learned to spearfish and the kids learned Spanish. We dropped in on small villages and bought fresh goat cheese or handmade tortillas. I kept a spreadsheet of all our expenses. And we were excited to learn we’d saved so much money living our dream. We anchored out, mostly to avoid paying marina fees, and we cooked on the boat more frequently than we ate out. But we hauled Windfall out of the water in La Paz, Mexico, to paint the bottom, and we made three road trips to the U.S. We also bought a new 12-volt freezer. Even with these large expenses, from November 2008 through October 2009, our family of four spent less than $18,000. There were other ways we saved money by sailing. We had several solar panels to power our refrigerator, computers, blender, and other appliances. Our portable generator backed us up on cloudy days. Our water maker made salt water drinkable and ran off the solar. When the children grew, we upgraded to a larger boat and sold Windfall. The boat market was soft in late 2010, which meant we sold her for less than we’d paid. But it was also a good time to buy. We found the perfect replacement in Mazatlán, Mexico. Our new home, the 41-foot Hotspur, cost us less than $30,000, total, once she was ready to sail. From Mexico, we continued down to Central America. 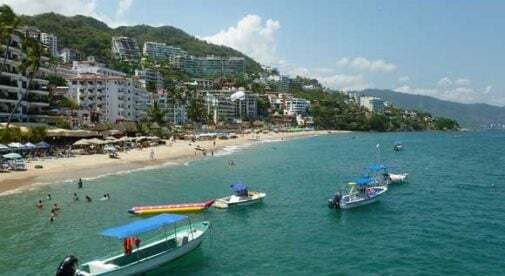 Along the way, we anchored off tropical beaches in Mazatlán, Puerto Vallarta, and Zihuatanejo, before heading to El Salvador and exploring Guatemala. While tourists pay a small fortune for their view of turquoise waves curling gently upon soft-sand beaches, we enjoyed the same view as long as we wanted…for free. In 2012, our son Timothy was almost 17. So we sailed back to Mexico to sort out his future. At one point, we stayed in La Paz, on the southern end of the Baja Peninsula, for almost two years. Its large expat community offered a range of activities. We participated in community theater, writers’ groups, Spanish classes, and volunteered at animal spay-and-neuter clinics. Jim worked on websites for income and I traded office management duties with a local sailmaker. We ate like the locals. Shrimp and fish tacos were cheap and tasty. Mexican medical insurance cost us $85 a month for the entire family. And we found the healthcare in La Paz to be very modern. Our daughter, Carolyne, needed orthodontics and we paid $800 from beginning to end. (Meanwhile, my sisters back home were forking out thousands of dollars per child for braces.) We also landed a housesit for a few months in a luxurious home with a pool, gardener, and maid. Timothy moved back to the U.S. to attend community college, but Jim, Carolyne, and I decided we wanted to see more of the world. It took us 23 days to sail across the Pacific Ocean to the islands of French Polynesia in 2014. Living aboard a sailboat, we were able to spend months in high-dollar locales we’d never have been able to afford before, like Tahiti and Bora Bora. We stopped for boat parts in American Samoa. There, I quickly landed a teaching job at a private school and Carolyne attended her freshman year of high school. On weekends we enjoyed hiking rainforest trails to hidden waterfalls or diving on the coral reefs. We left American Samoa in 2015 and sailed to Tonga and then to Fiji, where we’ve been ever since. We’ve paid to have Hotspur secured to a mooring and a local friend has offered us a housesitting opportunity with an ocean view. We pay $150 a month to keep our boat moored, and the utilities at the house where we’re staying cost us less than $50 a month. First Steps: We began researching boat models and prices on websites like Yachtworld.com and Boattrader.com. Then we visited several seaside marinas to look at their boats for sale. This strategy not only gave us a good feel for layouts and whether the seller was ﬂexible on price, but also let my six-foot-tall husband test how far he could stand up inside. Bottom Dollar: We were realistic about what we could afford in a boat. We knew we’d have to buy a used vessel. When we bought our ﬁrst sloop, Windfall, we bought the smallest boat we thought we could live in comfortably. If we decided we couldn’t hack the cruising life, we wouldn’t lose a fortune if we had to re-sell the boat quickly. Think Big, Buy Small: Small boats are cheaper all the way around. Marinas and boat yards typically charge by the foot. New sails and boat gear cost less for small vessels. Insurance coverage is usually cheaper. Plus, smaller sailboats can easily navigate in tight spaces. Be Open-Minded: We actually made an offer on a sailboat before buying Windfall. Even though we felt the boat was perfect for us, we backed out of the deal when the owner couldn’t produce receipts to support his claim of expensive improvements. Just Ask: Join cruising Facebook groups and sailing forums. Meet former cruisers and people who are cruising now. Join a yacht club. We met a former cruising couple in Colorado and took them to dinner in exchange for picking their brains. ¿Cuánto Cuesta? 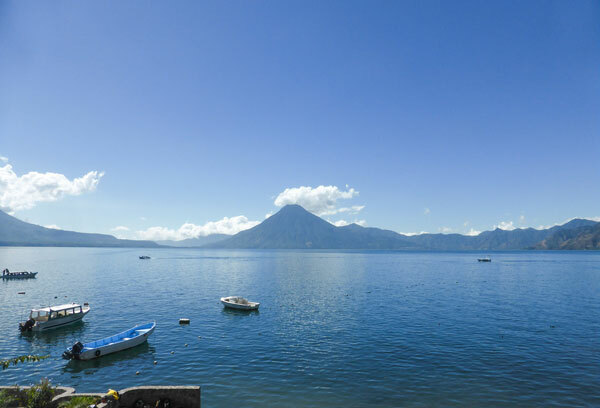 Buying your boat in places like Mexico can save you money, because many cruisers who have ﬁnished their journey don’t want to sail the boat back home. Buying there is not as tricky as you might think, and there are licensed brokers who understand the rules. Discounts: Consider becoming a member at marine wholesalers, like West Marine or Port Supply. In our case, we met many boaters who had discount cards to marine stores. When we bought new equipment, they’d offer to let us use their marine discounts, and we saved hundreds of dollars. Second Hand: There are many online resources to save money buying used boat parts. Places like Craigslist and eBay are popular. Also, many marinas will host swap meets for boaters to sell or trade their boat parts. Survey: Before you buy a boat, pay a licensed surveyor to do a thorough inspection of the vessel to ﬁnd out if there are any problems. We preferred to ﬁnd a surveyor on our own and hire an unbiased opinion, instead of using the surveyor the boat broker recommended. And remember: You don’t need to be a licensed captain to sail. Jim and I researched on our own and read every sailing book we could get our hands on.